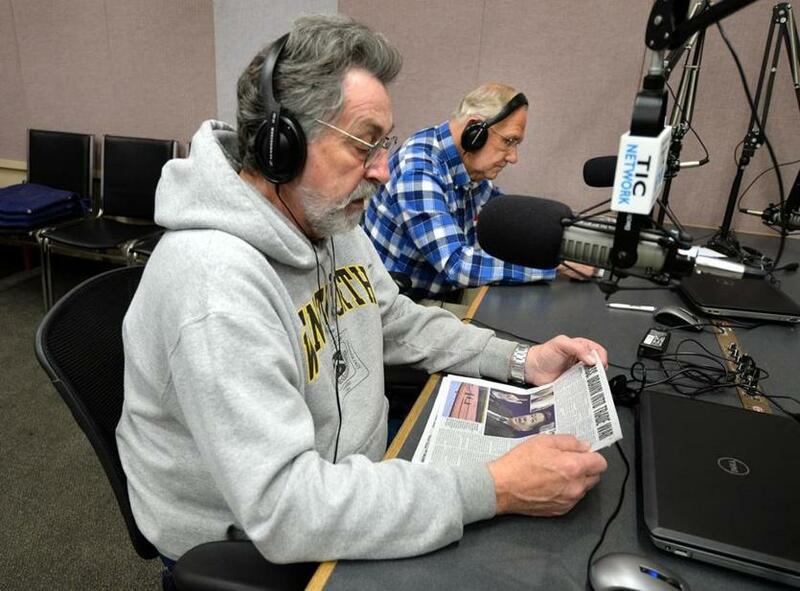 Volunteers Doug Haskell (left) and Herb Robinson read the newspaper on air at the studio of the Talking Information Center in Marshfield. The nonprofit reading service broadcasts newspapers, magazines, books, and special consumer information to listeners with visual or other impairments. When she was a child, said Kerry MacDonald of Quincy, her parents would sit and read the newspaper every morning. MacDonald wished she could do so herself, but blind since birth, she could not. When she reached her teens, she said, her mother gave her a radio that opened up her world. 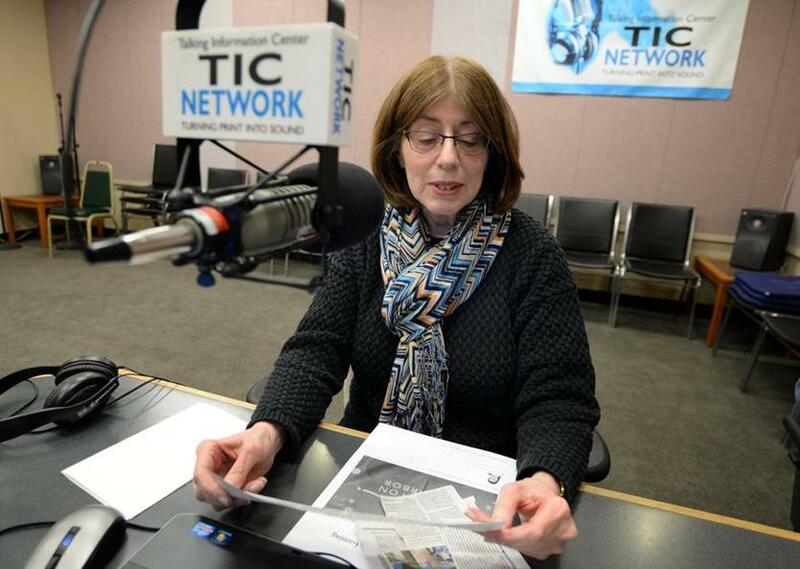 It picked up the Talking Information Center, a Marshfield-based nonprofit reading service that broadcasts newspapers, magazines, books, and special consumer information to listeners with visual or other impairments. Finally, MacDonald felt she could join her parents in discussing the day’s news, she said. Having a human voice filling her in on the latest developments, she said, was one of her earliest inspirations to help others with vision problems receive the resources — and the human interaction — they need. Now 45, she works as a co-facilitator of a support group in Quincy that serves visually impaired adults. When the center recently teamed up with four organizations — the Marshfield Council on Aging, Duxbury Senior Center, Kingston Council on Aging, and Plymouth Center for Active Living — to host the first collaborative low-vision support group on the South Shore, MacDonald worked as a volunteer to facilitate its inaugural meeting. Since 1978, when it started broadcasting over WATD-FM in Marshfield, the service has been on air 24/7, tailoring its broadcasts primarily to the visually impaired but including in recent years those who are print-impaired because of physical, cognitive, or developmental issues, including seniors, veterans, and those with mobility problems. Every day, it airs readings of news articles from The Boston Globe, USA Today, The Wall Street Journal, and community newspapers. It also features readings of supermarket specials, storybook hour for children, and cooking shows aimed at its estimated 30,000 listeners. Haskell and Robinson read the news at the microphones of the Talking Information Center . . .
Station executive director Jim Bunnell (left) and assistant executive director Anna Dunbar. 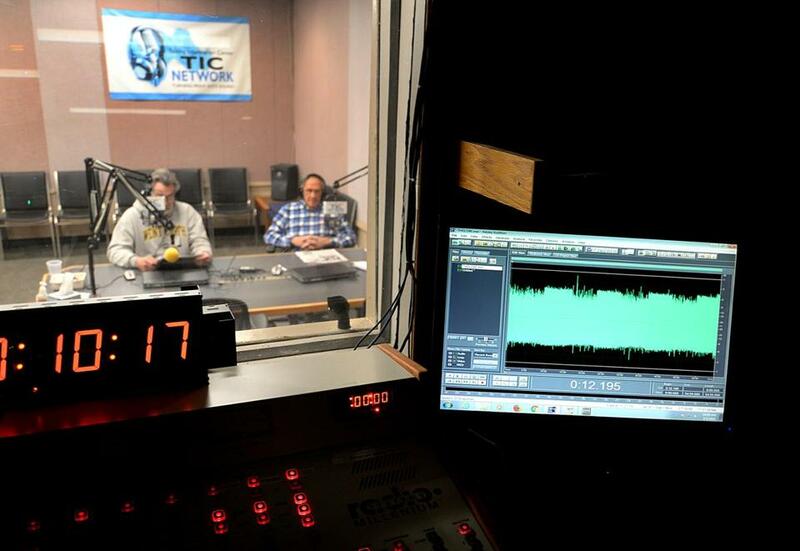 “Our programming is tailored to what our listeners have told us they need,’’ said Bunnell. The enterprise was funded by the Massachusetts Commission for the Blind until June 2016. Since then, it has been partially funded by a grant from the state’s Executive Office of Health and Human Services. After realizing that many of the communities the station serves did not have low-vision support groups, Bunnell contacted senior centers and councils on aging to try to fill the void. The newly formed group intends to tackle issues affecting the low-vision community, with a focus on finding solutions to problems that may limit its members. The first such meeting, which drew 25 people to the center’s Marshfield headquarters in early April, focused on transportation and the resources available to those who may need help traveling, getting to appointments, or simply running errands. Or getting to meetings, for that matter: Organizers estimated that 50 people from the area who were unable to attend the inaugural session in person — and a few thousand interested statewide — listened in. Future meetings, which the center plans to hold every four months or more often if needed, will be broadcast live over the radio and streamed on the center’s website. Organizers said the next one, scheduled for June 18 and moderated by Kerry MacDonald, will focus on how to navigate new technology. Marilee Comerford, activities coordinator at the Marshfield Council of Aging, said the partnership made sense, particularly since many in her town were already familiar with the center’s programming. The Marshfield council, she said, once had a low-vision support group, but over the years its membership sank and it became less active. Much the same happened in Duxbury and Kingston, according to local organizers. Plymouth Center for Active Living has had a low-vision group for the past three years. The group has nearly 20 members. Beth Hadfield, the Plymouth center’s activity coordinator, said the collaborative will give low-vision people in Plymouth and beyond more control over their lives. Much of the accessibility technology available to the low-vision community uses automated voices that can feel impersonal and create a feeling of loneliness, advocates say, especially when people don’t have access to support groups to provide consistent human interaction. 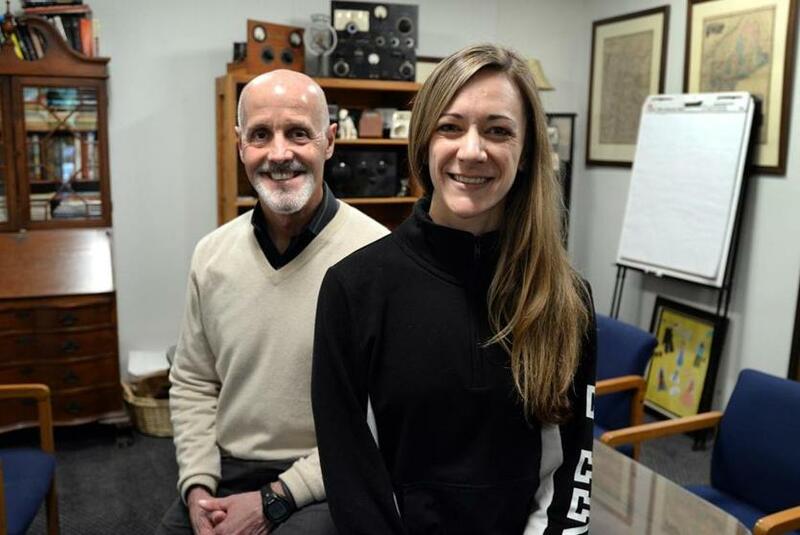 Anna Dunbar, the Talking Information Center’s assistant executive director, said the nonprofit prides itself on providing its listeners a human voice. For more on the Talking Information Center, go to http://ticnetwork.org. Zipporah Osei can be reached at zipporah.osei@globe.com.